Heat olive oil in a large fry pan over medium heat. Add onion and garlic and stir. When onions start to soften, add cilantro stems. 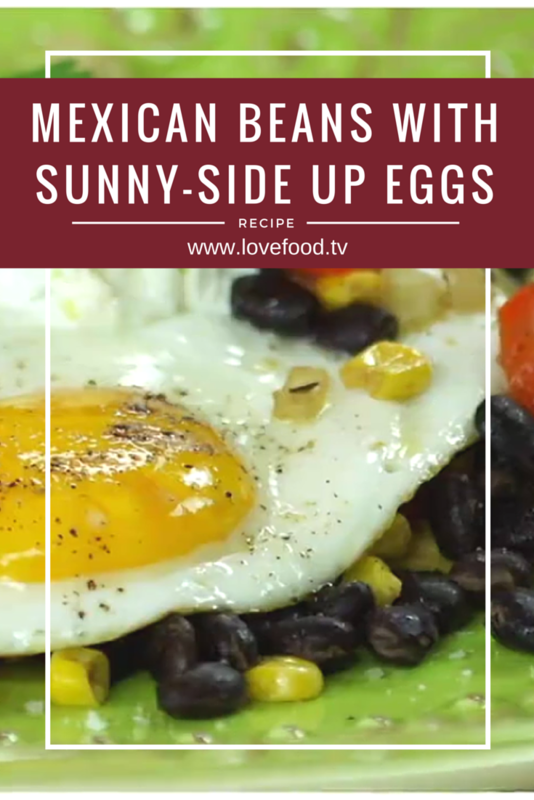 Add red pepper, spices, vinegar, honey, black beans and corn. Allow to simmer away until beans and corn are warmed through and liquid has reduced slightly. Meanwhile, heat 1 teaspoon olive oil in a fry pan over medium-high heat. Crack in eggs and season with a sprinkling of sea salt and black pepper. When the egg is no longer translucent, it’s a perfect, runny, sunny-side up egg. Flip it over for an over-easy egg. Spoon beans onto a plate. Top with fried egg. Finish with queso fresco, lime zest and cilantro. *Make your own queso fresco by combining equal parts feta and sour cream or Greek yogurt.